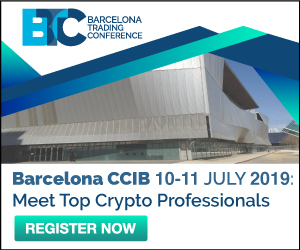 Fearing Revenge from ICOs, Hoping for Thanks from STOs? Leave a Comment on Fearing Revenge from ICOs, Hoping for Thanks from STOs? The BitMEX service in collaboration with TokenAnalyst (https://www.tokenanalyst.io/) conducted a study of the cash flows of ICO projects. Conclusions – disappointing. Although ambiguous. 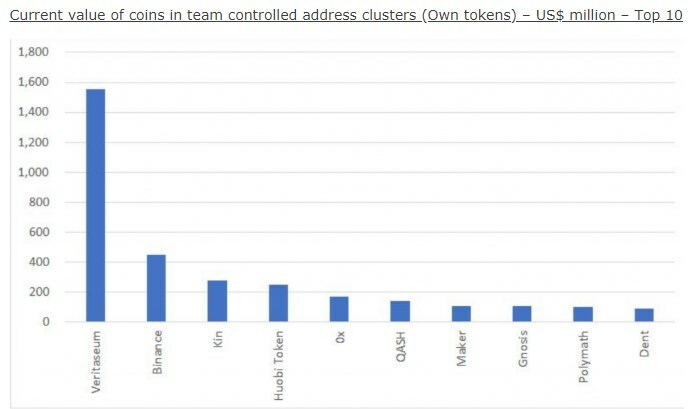 According to the study (Tracking US $ 24 billion Of Tokens ICO Makers Allocated To Themselves – https://blog.bitmex.com/tracking-us-25-billion-of-tokens-ico-makers-allocated-themselves/) it turns out that the teams distributed to themselves $ 24 billion tokens, and lost 54% due to the collapse of the market. At the peak of the market, the amount of distributed tokens reached $ 80 billion – now $ 70 billion went to losses. Losses or not losses – that is the question. The tokens were taken by the teams practically for nothing, without any investment costs (the costs of conducting an ICO not counted). 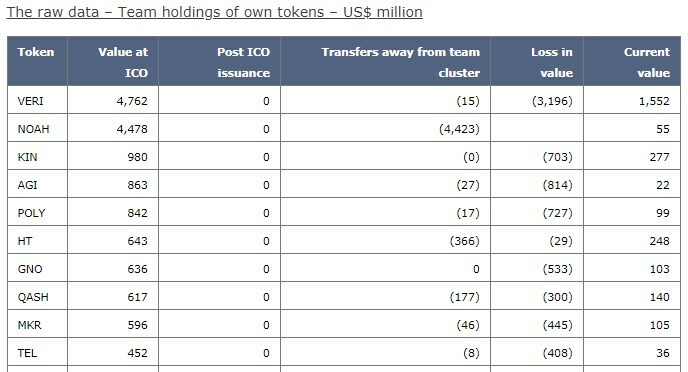 These are not the losses that the investors actually suffered at the ICO. Investors put real money! The chart of proportional “losses”, which provides BitMEX, in principle, corresponds to market events – losses in team’s clusters are about 93-96%. But at the same time there is a difference in the market behavior of teams. And this difference distinguishes scam projects from real ones. Real projects do not withdraw funds, because they are building a long-term strategy and are confident that the losses will be returned to them when the market will revive. Even on the basis of current “illiquid” prices, ICO teams have about $ 5 billion in their accounts, which they received from virtually nothing and without serious obligations. And even now they can make a profit of $ 1.5 billion if they sell tokens from their accounts, BitMEX stated. At the same time, the final table of the study speaks of much greater advantages for the teams. Wow! Leaving their tokens on the accounts, the teams that conducted the ICO on the Ethereum platform, even now, in the low market, can receive a profit of almost $ 13 billion! BitMEX concludes that “this analysis emphasizes the lack of standards and transparency in the ICO market, especially when it comes to the distribution of tokens to the wallet of the founding team.” In essence, it is argued that there is complete mayhem when conducting an ICO. Teams can release, burn, buy and sell (their) tokens at will. In this case, analysts cannot track what is happening. 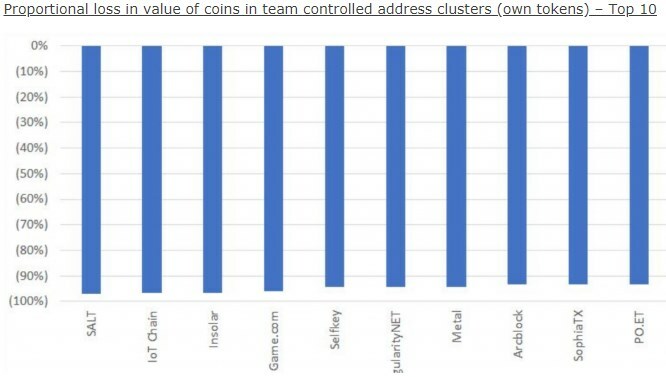 Often, tokens are seen on the exchanges – but it is not clear that teams pay for listing of their tokens on the exchange, or simply withdraw cash. Obvious is the fact that teams have two ways to extract additional profit: 1) sale of new issued tokens; 2) and the release of tokens for yourself. Fearing libel charges, BitMEX makes a number of exculpatory clauses in its report. But at the same time the tables and charts speak for themselves. And the data sometimes looks outrageous. It is not known whether the study is kind of a puff piece, in favor of the transition from ICO to STO. The STO itself is never even mentioned. But perhaps this is kind of refined sophisticated marketing? Previous Entry Latoken exchange: what do community think?